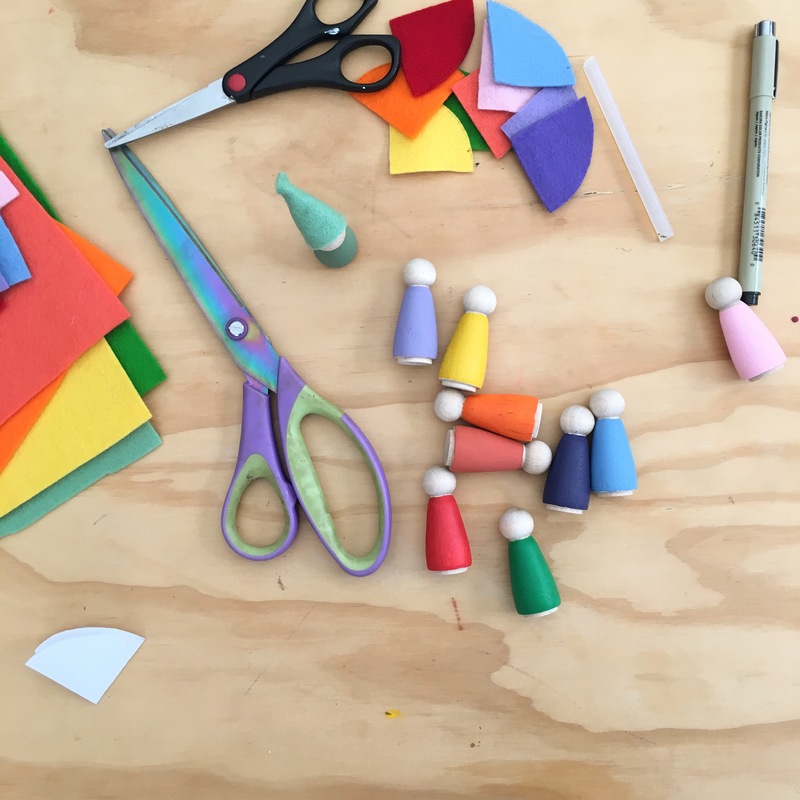 One of the things I love most about our chosen homeschool curriculum, is how creative and tactile it is – perfect for a crafty mama and her creative mini humans. The joy of story telling and learning through play has been a delight to incorporate into our days. In block one, Miss Butterfly had a maths unit, which she learnt through Prince Plus and Princess Minus, and the Gnumber Gnomes. I had a bit of a look online, and found a cute little etsy shop where I could get the raw wood peg people, AND a pack of rainbow wool felt. Yes please and thank you. These were a super easy little project – I painted the gnomes to match the felt colours, using acrylic paint from my stash – maybe half I had the colour straight from the tube and the other half I had to mix. Then I created a little quarter circle template on paper, checked it would fit, and cut out their little hats, which I created by hot-glueing the straight edges together, and then hot-glueing to the gnome. It was seriously that easy. The gnomes are now one of the most played with toys in our toyroom! I’m hoping to make a whole stack of them, and have a gnome basket on the shelf for play and for school – next on my list is some Christmas gnomes! Though I may leave them and get the children to help as part of our advent activities. Possibly spring gnomes – I totally need to make some flowery gnomes, don’t I?